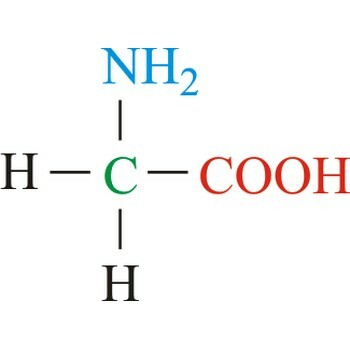 I'm confused because I see now two different way to represent the glycine amino acid. while I understand the first way of the representation the second one I don't understand at all. I believe that both represent the same amino acid but I see that some of the componenets are absent in the second way (no COOH and no carbon). I would like to know the explanation. The first method of representation is the regular way, where all groups, including carbon and hydrogen are shown. The second method is the "skeletal form", where every bend in the line means a carbon group, and the hydrogen atoms attached to the carbons are implied. It does seem a little tricky to visualise, but it is easier and faster when you come to larger groups. 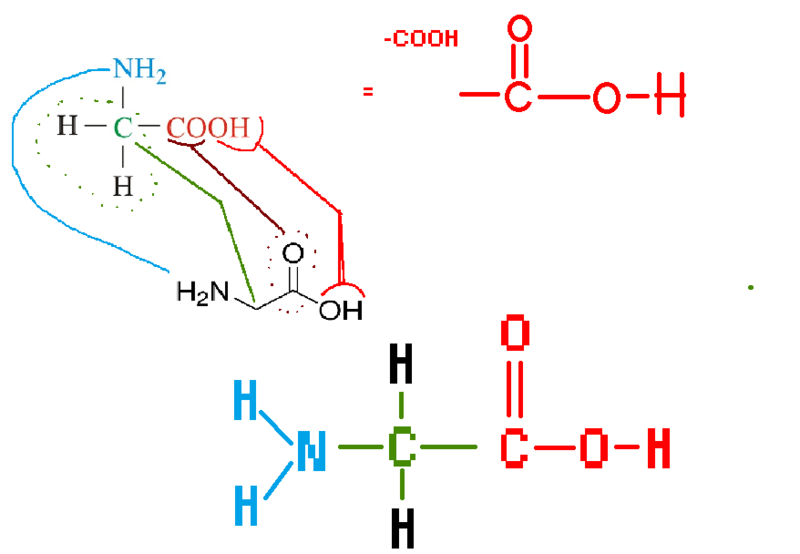 Why do asparagine and glutamine have two different abbreviations?